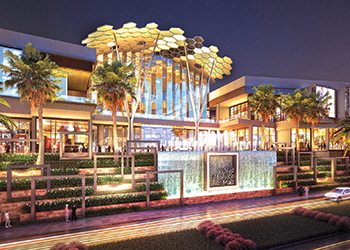 Nad Al Sheba Mall ... to feature 200 shops. Nakheel has issued a tender for the construction of a new 1.2-million-sq-ft shopping, dining and entertainment destination in Dubai’s increasingly popular residential area of Nad Al Sheba. Part of Nakheel Malls’ Dh16-billion ($4.4 billion) expansion, the Nad Al Sheba Mall will feature 200 shops besides other retail and entertainment outlets including a supermarket, department stores, multi-screen cinema, food and beverages (F&B) outlets, department stores and fitness centre spread across 500,000 sq ft of shop space. The upcoming retail destination also has prayer rooms as well as two parking levels with space for more than 1,200 cars, it stated. The tender documents are available for a non-refundable fee of Dh25,000 ($6,806), said the Dubai developer. The last date for submission of bids is August 13.